Do you want a perfect space to entertain your friends and family? Looking for a retreat and a spa-like experience to unwind from a long day? Want to improve your health and strengthen your body? No matter what you envision for your backyard, our expert Arizona pool builders can make it happen. We offer customized pool and landscaping designs with every feature imaginable to make sure you get the backyard of your dreams at a price you can afford. Pool Styles: Whether you want a small lap pool for exercise or an expansive pool with features like grottos, infinity edges, or pergolas, we’ll design a pool that fits perfectly into your backyard. We also offer a variety of pool colors and shapes to maximize the look and feel of any space. Water Features: We can install any type of water feature imaginable from a rock waterfall to fountains to deck jets. Lighting Designs: We offer every kind of lighting option available including timed lighting, colored lighting, and environmentally and wallet-friendly LED lights. We can help you get more use and create any mood with a great lighting plan. Pool Decking: We offer a range of pool decking options that will keep your feet cool in the hot Arizona sun. We offer everything from stamped concrete to wood to tiles, so that you can get the look you want with the functionality you need. Latest Technology: From solar powered heaters to automation right from your smartphone, we offer the most technologically advanced pool features available. Family-Friendly Features: We can install diving boards, slides, and even volleyball nets so your children get as much enjoyment out of your pool as you do. Spa Features: We also offer some great spa features such as hydrotherapy jets, built-in hot tubs, and tanning ledges to help support water therapy and relaxation. Maintenance Features: We offer a variety of maintenance options that help you keep your pool fresh and clean. We have every type of pool filter and also offer saltwater pool sanitation. We’ll help design a system so daily maintenance is a breeze. Landscaping: Based in Gilbert, Arizona, we’ve mastered the art of desert landscaping. With our help, you won’t just get the pool of your dreams, you’ll have a backyard oasis that matches the gorgeous natural landscaping of our environment. Backyard Kitchens: We also offer the design and installation of backyard kitchens so that you can really make your pool a wonderful place to entertain. We can install stoves, refrigerators, and sinks, as well as beautiful countertops and bar areas. Accessibility: As one of the most popular retirement cities in the country, our Gilbert, Arizona pool builders can also help install accessibility features so seniors can get the most out of their pools. We can install lifts, railings, and transfer walls, so you can easily get in, out, and around your pool. No matter what you want, our expert Arizona pool builders can make it happen! One of the best parts about living in Arizona is the great weather year-round. Even though it gets a little chilly at night and during the wintertime, we can help design a pool you can use no matter the time. We can extend seasonal use with pool heaters and solar pool covers. So your pool temperature is always perfect no matter the time of year. We can extend the daily use with lighting so you can safely swim at night. Just let us know how you’d like to use your pool and we’ll make it happen! Based in Gilbert, Arizona, we’ve worked with hundreds of homeowners in the local area to ensure they get the pool of their dreams. Our experienced Arizona pool builders know exactly how to work with the desert landscape to build a pool quickly and on budget. 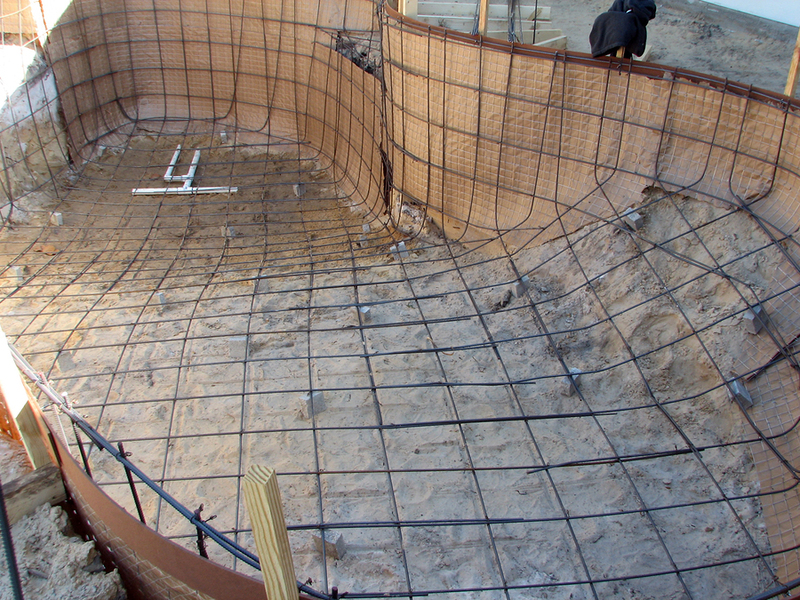 When you hire us, we will offer a full consultation, not only can you envision the final product, you’ll know exactly what to expect during the pool building process. We’ll also be available at any time to answer your questions. If you live in Gilbert, Arizona or the larger Phoenix metropolitan area, give us a call. Our expert Arizona pool builders will help you turn your dreams of a backyard oasis into a gorgeous reality!